Hi there, I know you're all busy with holiday parties, shopping, and baking this time of year. For Lets Talk Tuesday I thought I'd share a bunch of page title ideas with you for your holiday scrapbook pages. 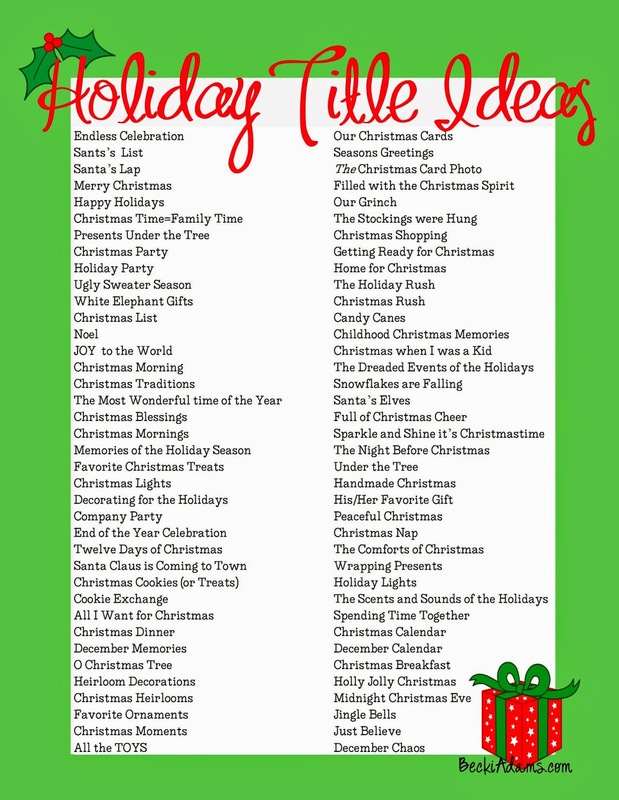 I have listed 76 holiday page titles for you on a printable and Pinnable image. Just pin it or print it. You can also keep these in mind as you take your photos during the holidays. These can be used for your December Daily projects or just save it for the quiet time in January when you have time to scrapbook the tons of holiday photos you took! I hope you're enjoying your holiday season!